Cheer up all you Xbox fans out there! Games with Gold for February has been revealed for Xbox One as well as Xbox 360 and it's pretty neat, to say the least. 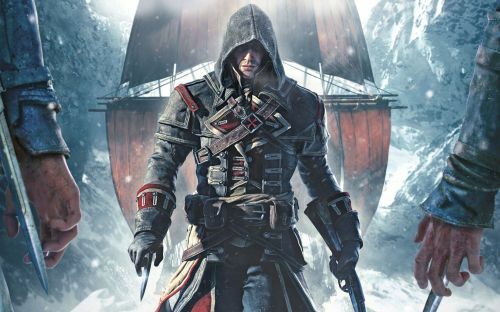 Headlining this time around is Assassin's Creed Rogue- the 6th main entry in the long-running Assassin's Creed series which serves as the direct sequel to 2014's Assassin's Creed Unity. The game is available on Xbox One as well as Xbox 360 to download from 1st to 15th February. #1.Bloodstained: Curse of the Moon. Available on Xbox One from 1st to 28th February. Bloodstained: Curse of the Moon is a side-scrolling action adventure title set in a forbidden castle where you can switch between multiple characters, each having their own unique abilities. The game has a Metacritic score of 82/100. Available on Xbox One from February 16th to March 15th. In Super Bomberman R, eight Bomberman hero's journey into the space to fight the Evil Emperor Buggler. The game initially released back in March 2017. In the Xbox One version, the characters get the Master Chief armour as an extra addition. The game has a Metacritic score of 63/100. #3.Star Wars Jedi Knight: Jedi Academy. Available on Xbox One and Xbox 360 from February 16th to 28th. Released initially for the original Xbox, Star Wars Jedi Knight: Jedi Academy is a first person/third person shooter where the game lets your character learn the ways of the force from Jedi Master Luke Skywalker and meet other important Star Wars characters from the movies. The game has a Metacritic score of 76/100. Which game are you looking to play the most? Tell us in the comments down below. Also for more Xbox News, stick to Sportskeeda. Is Xbox Live Games with Gold worth it?